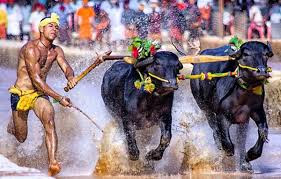 Following protests by people and kambala organisers in Udupi and Dakshina Kannada districts, the State government on February 13, 2017 passed the Bill to exempt kambala and bullock-cart racing from the ambit of the Prevention of Cruelty to Animals Act, 1960. In the meeting held on April 13, 2017 in New Delhi, the Additional Secretary of the Union Home Ministry suggested to the government to modify or omit the phrase “subject to such other conditions as may be prescribed” in the sub-section 2 of section 3 of the Bill. 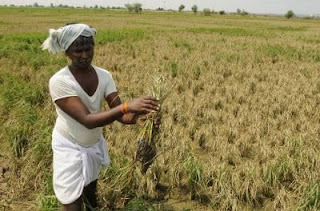 under the scheme, the interest rate on loans would be less, which would in turn also help defaulting farmers get loans. Chief Minister Shivraj Singh Chauhan has announced a compensation of Rs 1 crore for the kin of the dead and Rs 5 Lakh to those who were injured. He has also appealed the farmers to maintain peace and harmony in the state. Beside loan waivers, farmers are also demanding Rs 50 per litre of milk as they claim that Rs 37 is spent by them for every litre. The Yogi Adityanath cabinet in Uttar Pradesh decided to rename Mughalsarai railway station near Varanasi after RSS ideologue Pandit Deendayal Upadhyaya. 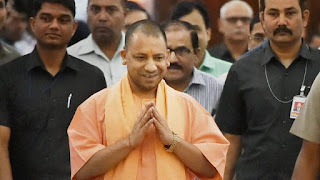 A meeting of state cabinet was held under the chairmanship of chief minister Adityanath Yogi that gave its approval for the renaming of the station. Upadhyay had died under mysterious circumstances while travelling in a train at Mughalsarai station on February 11, 1968. Mughalsarai is one of the busiest stations of the Eastern Railway. The BJP government is celebrating the birth centenary of Upadhyaya and several programmes are being organised across the state. Earlier in April, the Yogi Adityanath government had decided to name the Agra airport after Upadhyay. 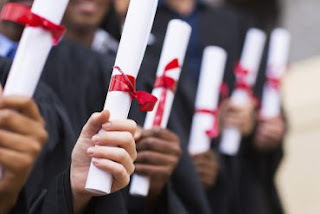 The Narendra Modi led-government is all set to scrap the University Grants Commission and the All India Council for Technical Education and replace them with one higher education regulator, tentatively being called the Higher Education Empowerment Regulation Agency or Heera. The new law is being worked out by the Human Resource Development Ministry and the Niti Aayog. A committee, comprising Niti Aayog’s Amitabh Kant and higher education secretary KK Sharma among others, is also working on the details. The Minister inaugurated the “Saath Hai Viswaas Hai, Ho Raha Vikas Hai” Exhibition at Indira Niketan Park, Sarojini Nagar. 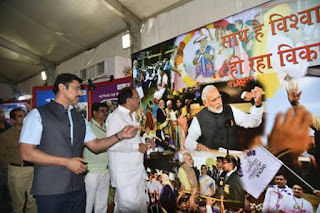 Col. Rajyavardhan Rathore, Minister of State for I&B was also present on the occasion. Harnessing Yuva Shakti for New India, Decisive & Bold Government, Empowering Gaon & Garib for New India, Empowering Women, Reform to Transform and Government that cares. Punjab government has launched a unique ‘Chief Minister Scholarship Scheme’ with a resolve to provide cheaper and quality technical education to the meritorious and poor students of the state. All the students who are residents of Punjab and studying in government polytechnic and engineering colleges, Maharaja Ranjit Singh University, Bathinda and IKGPTU, Jalandhar would benefit from the scheme. 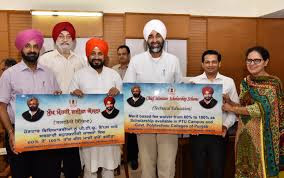 The Technical Education Minister informed that under the scheme, the students of Punjab would get the fee waiver as per the percentage of marks obtained in Class X. He said 70 per cent fee waiver will be for the students scoring 60 to 70 per cent marks, 80 per cent fee waiver for students scoring 70 to 80 per cent marks, 90 per cent fee waiver for students scoring 80 to 90 per cent and students scoring 90 to 100 per cent marks would get the full fee waiver. In an effort to curb antibiotic resistance, the World Health Organization (WHO) has divided the drugs into three categories — access, watch and reserve — specifying which are to be used for common ailments and which are to be kept for complicated diseases. 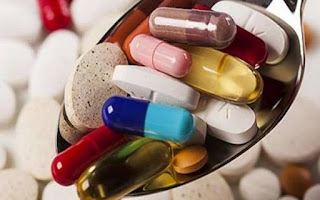 Commonly used antibiotics will be under the ‘access’ category; the second line of antibiotics, slightly more potent, have been categorised under “watch” and potent drugs to be used only as a “last resort” fall under the ‘reserve’ category. This is the biggest revision of the antibiotics section in the 40-year history of the essential medicines list (EML). The WHO has now recommended that antibiotics in the ‘access’ group be available at all times as treatment for a wide range of common infections. This includes amoxicillin, a widely-used antibiotic to treat infections such as pneumonia. The ‘watch’ group covers antibiotics that are recommended as first or second choice treatment for a small number of infections. 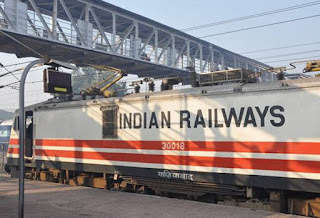 The Indian Railways is firming up plans to join hands with Malaysia to redevelop about 20 stations in Tier-II cities across the country. Aimed at attracting nearly Rs 1 lakh crore private investment, the station redevelopment project envisages infrastructure revamp at platforms and circulating areas. It also entails commercial exploitation of station areas for constructing hotels, eateries, multiplexes, shopping malls and office complex among others for the use of developers for a period of 45 years. For facilitating growth of Tier II cities, the Centre, state and local governments provide a lot of support to transform these not so big cities into business havens and making them India's fastest growing cities. 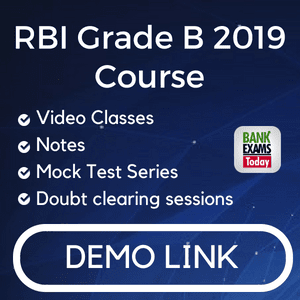 While cities like Delhi and Mumbai are in Tier-I category, cities such as Faridabad, Cuttack, Amritsar, Jamshedpur, Kochi, Jammu, and Bikaner are considered Tier-II cities. In the first phase, 23 railway stations including the iconic Howrah station, Mumbai Central and Chennai Central have been selected for the project which aims to make the best use of the assets of the stations. 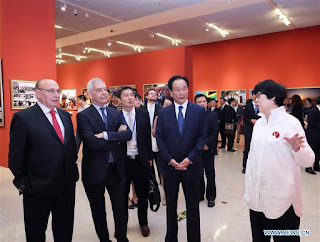 During an inaugural session of the BRICS Media Forum in the Chinese capital, Cai Mingzhao, president of Xinhua News Agency and executive president of the Forum, announced that the news agency will invest $1 million for boosting media cooperation in the five-nation grouping. 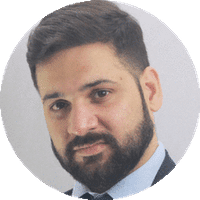 The plan will promote six objectives, including “balanced reporting”— a view shared by several speakers at the forum, who called for alternative media narrative, which did not take the cue from Washington or London. India’s ranking in terms of data speed also dropped to 74th, below Pakistan and Sri Lanka, as download speed dropped more than one megabit per second in the last six months as traffic has surged post Reliance Jio launch. With a significant decline in internet data speed, government Digital India initiative took a back seat. 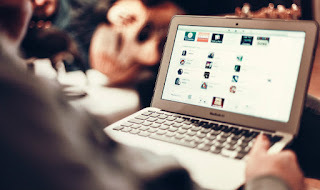 According to a report by OpenSignal, a London-headquartered company that specialises in wireless coverage mapping, users faced problem in relation to data speed following a surge of wireless broadband services. According to data released by TRAI, India had 217.95 million data subscribers at the end of 2016 while average data usage has risen from 236 MB a month in September to 884 MB in December 2016. In a first, three Indian male shuttlers - Ajay Jayaram, Kidambi Srikanth and B Sai Praneeth - were in the top 15 of the latest Badminton World Federation Rankings released on Thursday as they occupied the 13th, 14th and 15th spot respectively. Sameer Verma and HS Prannoy found spots in the top 30 at 28th and 30th place respectively. 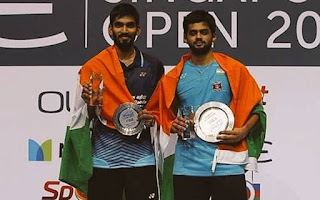 Sai Praneeth's has been the most meteoric rise in the rankings as he moved nine places up after winning the men's singles title at the Thailand Open on Sunday and beating compatriot Kidambi Srikanth to the Singapore Super Series title in April. In the women's singles ranking, PV Sindhu and Saina Nehwal maintained their 3rd and 11th places respectively. In the mixed doubles category, Pranaav Jerry Chopra and N Sikki Reddy also moved up one place to make into the top 15. Bopanna has become only the fourth Indian to win a Grand Slam crown, after Leander Paes, Mahesh Bhupathi and Sania Mirza. Indians have accounted for 20 Grand Slam mixed doubles titles. Two of those victories belong solely to India with Sania Mirza partnering Mahesh Bhupathi. Bopanna is the also the fourth Indian to win a mixed doubles crown at the world’s premier clay court tournament. Bhupathi won India’s first Grand Slam title in 1997 when he partnered Japan’s Rika Hiraki to claim the French Open. 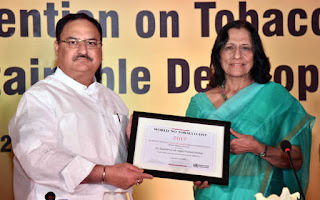 The global recognition was presented to him by Dr Poonam Khetrapal Singh, Regional Director, WHO South-East Asia at the ‘National Consultation on Accelerating Implementation of WHO Framework Convention on Tobacco Control (FCTC) for achievement of SDGs’. 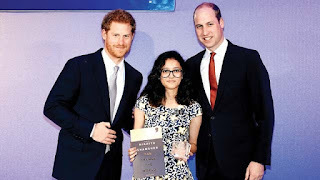 Nikhiya Shamsher, a student at Greenwood High International School, Bengaluru recently received ‘The Diana Legacy Award’ from The Duke of Cambridge, Prince William and Prince of Wales, Prince Harry for her exemplary achievement of providing quality education to the underprivileged. She was awarded at a grand event at St James Palace in London recently, and was the only Indian to win the award from amongst 12,000 nominations received from all over the world. At 14, Nikhiya already has a registered NGO; she has spearheaded campaigns like ‘Bags, Books and Blessings’ and ‘Yearn to Learn Labs’. She set up the NGO to ensure that every child has equal opportunities to learn and become successful in life and be provided with basic necessities. ‘The Diana Legacy Award’ celebrates the achievements of outstanding young leaders, visionaries and role models from across the world who are selflessly transforming the lives of others, as Princess Diana believed they could. Sasmita Malik was adjudged the 2016 AIFF Women's player of the year for her immense contribution to the success and growth of the Indian women's football team, ever since she was included in the Senior National Team in 2007. She was part of the 2010 South Asian Games and back to back SAFF Women's Championship winning squads. 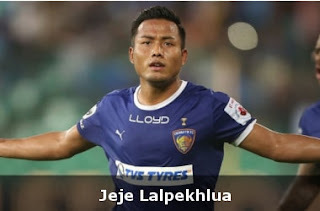 Sunil Chettri, India's most profilic goal scorer ever with 53 goals from 93 matches, received a Special Award for surpassing the milestone over the last year. Sunil is also currently the top Indian scorer in NFL (National Football League) and I-League matches taken together. 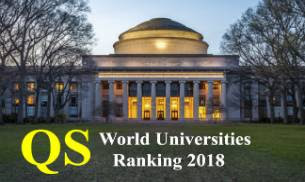 The Quacquarelli Symonds (QS) World University Rankings 2018 has been released and giving India a reason to rejoice, the Indian Institute of Technology (IIT)-Bombay, IIT-Delhi and Indian Institute of Science (IISc), Bengaluru, have made it to the top 200 global universities. This is for the first time that three prestigious Indian institutions have featured in the list of the top 200 universities as per the QS Rankings. For the first time Delhi University (DU) entered the top 500 group. A number of 26,000 universities were surveyed globally. 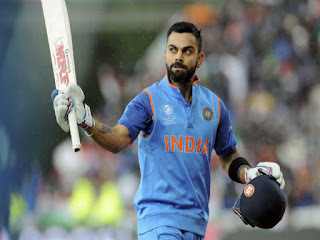 Indian cricket captain, Virat Kohli has made it to the Forbes’s latest list of the world’s 100 highest-paid athletes. Ranked at No 89, Kohli is the only Indian on the list, which is topped by football superstar Cristiano Ronaldo. The 28-year-old batting sensation earned $22 million over the last 12 months; $3 million through salary and winnings, and $19 million through brand endorsements. 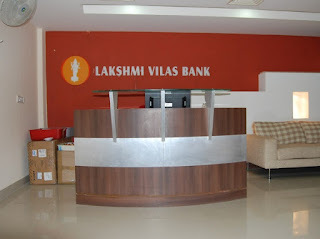 Lakshmi Vilas Bank informed the stock exchange that subsequent to an approval granted by the Reserve Bank of India (RBI), the Board of Directors of the bank at their meeting have co-opted B K Manjunath as additional director in the category of Non-Executive and Independent Director. At its meeting held on June 6, the board of directors also appointed B K Manjunath as part-time chairman for a tenure of three years. Manjunath is a member of Institute of Chartered Accountants of India and a practicing charted accountant for the last 25 years. Scientists have discovered the hottest known planet located 650 light years from Earth, which is warmer than most stars in the universe and sports a giant, glowing gas tail like a comet. The Jupiter-like planet orbits a massive star KELT-9 every day and a half, researchers said. 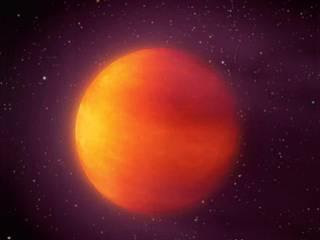 With a day-side temperature peaking at 4,326 degree Celsius the newly discovered exoplanet, designated KELT-9b, is hotter than most stars and only 926 degree Celsius cooler than our Sun. After screening a record 18,000 applications, the NASA has finally picked 12 astronaut candidates — its largest astronaut class since 2000 — and Indian-American Raja Chari, a Lieutenant Colonel with the US Air Force, has bagged a most sought-after seat. If all goes well, Chari may become the third person of Indian origin from the US after the late Kalpana Chawla and current NASA astronaut Sunita ‘Suni’ Williams to fly to space. Shawna Pandya, a Canada-born neurosurgeon, is also in the race to go on a space mission with NASA after being shortlisted under its 2018 Citizen Science Astronaut (CSA) programme earlier this year. The selected 12 – seven men and five women — will be trained for missions into the Earth orbit and conduct key research for deep space missions, including Mars. 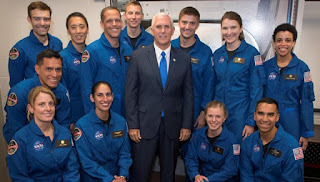 The term astronaut candidate refers to individuals who have been selected for the NASA astronaut corps and are currently undergoing a training programme at the Johnson Space Center in Houston.